Several of these episodes will explore how small, well-run performance gatherings can provide nourishing culture and build local community. An open stage is where anyone can bring a song, comedy routine, political rant, or other meaningful expression. The most inspiring example I’ve seen is the Catweazle Club, a weekly gathering started by Matt Sage almost 25 years ago in Oxford, England. Every Thursday, 50-100 people come out for an exhilarating night of creativity, banter, and camaraderie in which the full range of issues and feelings we face today are grappled with, laughed about, and celebrated. Key ingredients are a space small enough to corral all participants closely around those sharing or performing, an ethos of engagement and support, and the absence of microphones or other intervening technology. 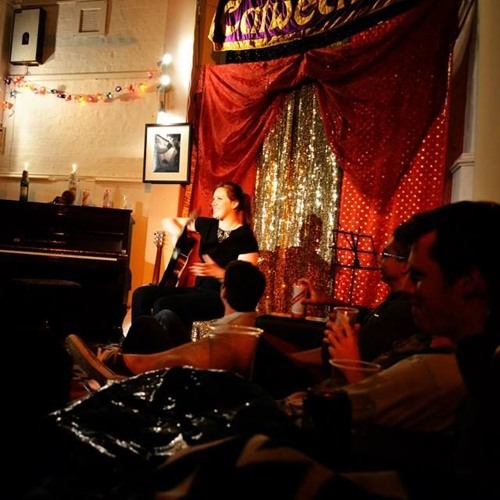 The morning after giving the featured performance at the 2019 spring equinox Catweazle, I sat down with Matt to talk about how the club serves as a hub or even temple for Oxford’s vibrant counterculture. To subscribe to this podcast of conversations about how we can create more fulfilling connections to and through music, email me and I'll send you the links as each episode comes out: pianotroubadour@gmail.com.